What did you think of The Fez Club? The Fez Club is cool. We had a great time with plenty of cocktails and smooth music. Fabulous grooves and even more fabulous girls. I'd rather stick pins in my eyes than go back to The Fez Club. After queuing for half hour we were hit with the extortionate entry fee of £14..For what? To queue for another 20mins to put our coats in the cloakroom (£2 per item) then to wait a further 20 minutes to get served over-priced drinks by slow incompetent bar staff (which there were very few of). I know music is subjective, but the 'DJ' was terrible..If there even was one. You pay £17 to get into Fabric (I know completely different type of club, but for that you get 15/20 world class DJs in different rooms. Where as at Fez you get nothing. Standard commercial music is to to be expected, but it can at least be delivered well with mixes and transitions and some form of flow of genre. Not cheese creeping in at 01:30 for 10 mins before being replaced by 'dance' music.. 'Dancing' was near impossible due to being packed in like sardines and I am sure it was over capacity. Otherwise I can imagine the venue to be quite nice...That's about the only positive merit I can give this place. It is actually a joke. I highly recommend wasting your money somewhere else.. Went here for my mate birthday celebration and had an amazing night in vip. Doing the same for my birthday next month! My mate had a birthday celebration here last week. Had an amazing night in VIP doing the same again next month for my birthday! I used to think this club was fun, but I agree with a lot of the comments on here about the bouncers/door staff. My friend was kicked out for 'being too drunk' when hadn't had anything to drink. Her phone was out of battery and the bouncers wouldn't let her back inside to tell us what had happened despite her saying she would go in escorted by someone. She was therefore left by herself outside the club by herself with no phone. She also said that as she was sat outside she saw the bouncers attack three people, pushing one against the wall with his hand around his neck. I haven't experienced this anywhere else in London - I would definitely avoid this place. We were at Fez Club at the weekend celebrating my best friends birthday and we had a really fun night, we got in free on the guestlist and danced the night away! Love the dancefloor! Couldn't agree more, this place is an insult to mankind. This Place is a total load of rubbish. Its nice inside, although quite small. However, entry and drinks are very overpriced. Rubbish Vibe, I've been 3-4 times and never had a good time. I had my phone stolen form the cloak room one time and my jacket lost another time. I used to love this club. However, the bouncers are now so aggressive and jumped up, the door staff are supercilious and the bar staff are just down right rude. They'll turn you away or kick you out for no reason. All in all it's a horrific experience, they ruin it. Don't bother. Genuinely the worst club I've ever been to, on any continent, ever. The clientele are ridiculously up themselves - I was accused of 'muscling in' at the bar when I wasn't even ordering a drink, and of spilling an (empty) drink around somebody. I was physically grabbed and held by a customer! I witnessed a barman spill a drink around my friend, then deny all knowledge and have her pay for another. As for drink prices - I don't mind overpaying if you're out in Spain and having a mad night, but you're in putney. Oh, and don't get me started on the queues, or for £14 entry fee. It's so bad, it's almost funny. Then you open your wallet, realise you've spent a tonne on the worst night of your life, and stop laughing. I have been to the Fez Club quite a few times and i have to say its pretty dire. Its expensive, the girls are never particularly attractive, the bouncers are annoying and i am still trying to get my jacket back after they lost it somehow in the cloakroom last Friday. It would perhaps be nice if they would answer the phone or reply to one of the emails i have sent them about it. Unfortunately if its Putney and you want to stay out late its pretty much the only place, so i will probably be there again at some point. Worst club i've been to in London. Ridiculously expensive entry fee, whats worse when i entered i was wearing a t-shirt and a small jacket which i had no intention of taking off. A bouncer pointed me to the cloakroom which of course was a small fee which is normal. I said 'no i'm fine thank you' then he said 'oh, well you might have to hand it in' - surely its my choice whether or not i decide to hand in my coat?? The club itself was average, peoples attitude wasn't the best. Worst part of the night came when i ordered three mixed spirits coming to over 30 quid. I went to pay and then noticed one was missing, i told the barman we were short one. He admitted that he had placed one on the bar and the girl next to me who i didnt know pushed it over by accident. She was very sorry and didnt have enough £££ to replace it with. The barman point blank refused to pour another and if i didnt pay for all three drinks he would get me chucked out. I was mild mannered and polite throughout it all yet he was quite aggressive. Left soon after that. Never wrote a review or a even a complaint letter before yet this club really deserves the effort! you're a mug... what are you on about jakes88! I love the Fez. My fave bar in all of London... You obviously don't know how to have a good time... maybe you need to get laid? The_Shark - you are a gimp. What a place... would recommend this for a night out to anyone!!! Putney is amazing wooohooo!! Awful Awful Awful! Having heard alot of talk about the fez felt it was necessary to give it ago... Firstly the price of entrance - £14. Found this ridiculous for a 'club' in putney which is in the same category as infernos in clapham junction only alot more expensive to get in. Once inside the only space we could find that wasn't full of naked girls grinding local chavs was by the glass collecting area!! When attempting to dance - you were basically being elbowed/ backed into by whichever ra 17year old fresh out the comfort of daddy's merc. Toilets- disgusting! Bar prices- extortionate!!! London prices are No surprise to me- but at the fez it felt like daylight robbery!!! Overall cramped, expensive and full of students. I have always found the bouncers to be very fair, i used to work in nightclubs as a hostess and i know how important it is to have the right people in the club. Fez always has nice people and yes they are choosy who they let in, but i prefer that, don't want to be dancing with chavs !! There must have been a good reason they didn't allow you in, just accept it, get over it and go to a club where you are more likely to fit in. Had a great night at Fez, guest list got us straight in no queuing, which was great as the queue was all the way around the corner !! Was out on a birthday party and was a mixed age group so the music went down really well, great DJ. 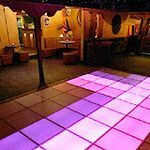 light up dance floor went down a storm, great atmosphere ! Had a night in Jez yesterday and thought it was very mediocre. If I'm honest not that great but for the money it was ok and I would give it another go. I had no issues with bouncers but the music was really cheesy. I normally go to high end clubs but have recently got so fed up with the prices and the attitude that I wanted to try something different. The crowd is up for a laugh however it's a very young crowd and very student like. So know what your getting into if you look around and all you see is partially formed women. I find it a little disturbing personally. i shared a fate with my fellow clubber. i was turned away from the queue without any particular reason. the bouncers were unprofessional and offensive to say at least. perhaps obnoxious and hostile would be better description. i have to say that i was truly appalled by the offensive behaviour and lack of manners of the staff. frankly speaking i can not recommend this place to anyone unless you are willing to take abuse from bouncers and pay for the overpriced entrance and drinks. sad place. I Was standing in the queue for like 25min than bouncer came and said than I need to step out and leave, for no reason simply. So you can think do you really want to go to this kind of place. Seriously. I absolutely love the Fez Club!! Incredible place! Nice, good looking people, good music and great atmosphere...totally worthy! eekamouse, you're probably a student looking for a cheap place to get smashed full of teenagers! Don't bother unless you're 35 and desperate. Don't go unless you like weird old unecessary guys who think they're total hotties and that it's ok to grab you like it's a bump n grind night, whilst dancing to the sugababes or something. Lame lame lame in general! SO SO overpriced...Yeah the deco is nice but omg never again. Seriously don't bother. A great little bar. Light-up dance floor was great and they didn't pack the place too full. We got there about 10:30 on a Saturday night and the place was empty but filled up pretty quickly. Apparently it's usually one in one out by midnight. All the staff were nice and friendly altho the DJ was a bit arsey and ignored our request for a song. Music fairly standard dancey-chart stuff. No cheese and not too hard-core. Would definitely go again. I went to The Fez Club on a Friday night and it was OK, the drinks were OK as my mate used to work there and he knew all the staff. To be honest, generally Fez Club is OK, they just need a bigger dance floor and more R'n'B! The Fez Club acts as an unofficial Putney student union. Not bad if you’re a student, not great for everyone else. 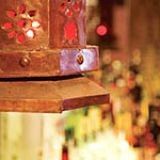 Transporting North Africa to South London, The Fez Club is a small but atmospheric SOUK-style basement club just off Putney High Street. Part of the Eclectic Bars and Club’s franchise, including the similarly themed Po Na Na, the walls are lined with Moroccan market paraphernalia; however, given Tony Manero didn’t hail from Casablanca, quite where the Saturday Night Fever flashing dance floor fits in is anybody’s guess. Much like Infernos in Clapham, The Fez Club is the venue of choice for twentysomething graduates seemingly loathe to let go of their student days. In fact, on a Wednesday night it plays host to Roehampton University’s student night. On Saturday nights, you’re liable to encounter young professionals who should have grown out of it, but for some reason are still disposed towards fancy dress, drinking games and generally wacky behaviour. Not wishing to tar everybody with the same brush, many punters come simply to have a good time and hit the dance floor, but the lewd few often end up dominating the dance space. The door staff aren’t backward about coming forward, but you have to have a degree of sympathy for them given some of the clientele. Continuing the frat theme, the music is exactly what you’d expect of a stereotypical student night: cheesy party anthems and commercial floor fillers with a sprinkling of RnB. Friday’s Fever is pretty much indistinguishable from Saturday’s Therapy, leaving Thursday’s MiTunes as the most innovative night. Bringing the DJ request into the digital age, you can email your track selections prior to the night. It’s a chance to stretch the otherwise anodyne music policy - wonder if Lou Reed’s Metal Machine Music would be worthy of a spin? There are a few decent drinks promotions at The Fez Club - mojitos are £3 all night on Thursdays, or you'll pay £2.50 for a bottle of Corona or Red Stripe. There are no regular offers on Friday or Saturday nights. Be aware that doubles tend to be served instead of singles unless requested otherwise. If arriving at The Fez Club after 11pm at the weekend there’s a danger of joining a one-in, one-out queue and paying £10 to gain entry at the end of it. If you miss your student days, or indeed you are a student, then the cheesy music and cheap drinks will appeal, for everyone else you may want to steer clear.